n 1953, a young (twenty-eight) Welsh secretary, Laura Ashley, living in a small flat in London with her husband and two little children, was working on a quilt project; a craft she had learned from her grandmother. She was looking for certain kinds of Victorian fabric designs to use in her quilt but couldn’t find the colors and patterns she wanted. nspired by printed fabric she had seen at the Victoria and Albert Museum, she designed what she was envisioning, which her husband, Bernard Ashley, then printed on a few yards of linen on a machine he made himself in their attic apartment. That was the beginning; the original investment was about $20. But worth a gazillion in display of faith and pluck. ooking at her work, I think her fabric designs were inspired by the old quilts she grew up with; the clear yellows and blues, soft romantic pinks, old fashioned milky greens; and the simple florals and prints you see in vintage quilts. I think maybe she was also in love with old China dishes. These two inspiration assignments are just conjecture on my part, because these are things that inspired my watercolors and I always felt she and I must be some kind of kindred spirits when it came to the colors and patterns we love. he cotton scarves Laura and Bernard made in 1953 were an immediate hit in local stores. People fell in love with their style and color sense. Soon Bernard left his job to print fabrics and run their blossoming business full time. They did it all themselves, built their business slowly, and at the same time, continued to grow their family. It was Bernard’s idea to call the business Laura Ashley; he thought it should have a feminine name. Behind every great woman, there’s a great man (if she’s lucky), preferably one who cooks. y the 1980’s, there were over 200 Laura Ashley stores all over the world, filled with the most wonderful things you’ve ever seen: cotton and linen dresses, crisp white blouses, nightgowns, straw hats, lampshades, flowery umbrellas, dishes, fabric, wedding dresses, sheets and comforters, and wallpaper all in the softest, most beautiful colors and classic styles. Laura Ashley was shabby chic before shabby was chic! Maybe she was a tad chic-er than shabby, but her things all had a very soft romantic feel to them. I still have decorating books she produced that show her classic design sense in the houses she and her family lived in. 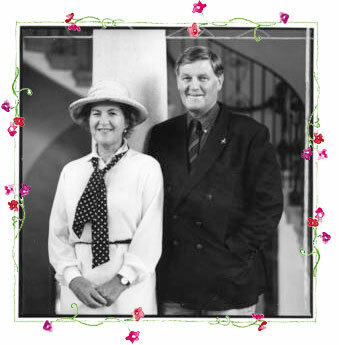 Laura and Bernard Ashley changed the way millions of people decorated and thought about the comforts of home. 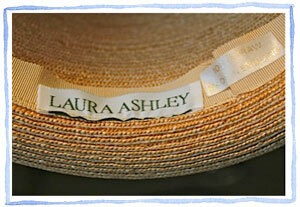 discovered Laura Ashley when I first came to New England. Whenever I left Martha’s Vineyard, I was always lost on the roads, especially when I got into the bigger cities, but still, like one of those beach geiger counters, the beep-beep in my head got louder and stronger as I honed in on the Laura Ashley store on Newbury Street in Boston. I never missed an opportunity to visit; would go to Boston just to go to that store, to be surrounded in the fresh colors I loved. I wallpapered my bedroom in my first house on the island in a sky-blue Laura Ashley print, and loved to wake up, still dreaming, in that blue cloud and listen to the birds singing, or watch the snow falling outside my windows. remember one spring day, it might have been the first mild day of that year; I drove to Boston because I had a hair appointment. The daffodils were in bloom in The Common; I bought new dress at Laura Ashley. I wore it out of the store, walked up the street (thinking myself adorable, like Diane Keaton), went to my hairdressers where I got my hair cut — all clean and shiny, I then took myself and my Country Living magazine to lunch at a sidewalk cafe. That day is fresh in my memory; I remember feeling so happy and free and lucky in the sunshine with my new dress and haircut! Just behind that was the clothing, rows of pure white cotton blouses, fitted with details such as capped sleeves, darts, covered buttons, some of them slightly gathered at the shoulder, some with stand-up collars; labels reading “cotton,” and “linen;” Made in Great Britain. The dresses were along the wall; skirts fluffed out like a colorful flower garden. The wedding dresses were toward the back in a glass case, like dessert, all whipped cream and lace; the furniture, wallpaper, and bolts of fabric, were up on a raised platform. It was heaven in there. I could’ve lived there. ou won’t find Laura Ashley on Newbury Street anymore, because (big disappointment to find out, I’m quite against it) nothing stays the same; the store is gone. In 1985, there was a terrible accident. On her sixtieth birthday, much too young, Laura Ashley fell down a set of stairs at her daughter Jane’s house and died a few days later of a brain hemorrhage. Even though her name lives on, the Ashley family is no longer associated with the company. The heart had gone out of it for them; the designing woman, cherished wife, and mother of four children was gone, taking the color sense, the genius that was Laura Ashley, with her. irls, if you never saw a Laura Ashley store you don’t know what you missed. I still have this wonderful hat, which I’ve never looked good in (I look like a bowling ball in it, it covers my eyes down to the tip of my nose). I knew I’d probably never wear it when I bought it, but I still could not resist such an adorable hat; it must be twenty-five years old now. I keep it in my studio, have painted it many times. hen I think of inspiration, I think of Laura Ashley. She made the world a prettier place to live. Art and Content for Susanbranch.com is protected by registered copyrights. Please ask before using. Hi there, so lovely to see this site, Thank you! I’m trying to search online for any info on Laura Ashley, made in Holland prairie dress, hunting scene. I have this dress and can’t find any info on it anywhere! Please can you help? I can’t but perhaps one of our other readers will be able to. 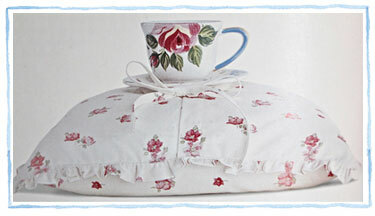 I adore anything Laura Ashley! I have one of those same hats from the 1980’s as well. I love it! I am now 60 years old, and I am from MA, but during the 1980’s my parents were living in Maine, so I would always go up and visit them and we would go into Freeport for the day to shop. During the 1980’s there was a Laura Ashley Shop. It was adorable. I bought the cutest lampshades for my bedroom. I bought my first set of sheets called Country Roses that I still have but they are pretty worn now. I keep trying to fin them somewhere in King Size. Her sheets were made so well! I also then bought the next five different sets of her classic now vintage Laura Ashley sheets. They are all beautiful and all have floral with either stripes or check. I love them! I wore her cologne called Emma the day I got married on October 16th, 1988. My mother bought some of her dresses and a purse. I have some of her quilts from the 1980’s, so vintage classic Ashley! She did make this world beautiful! I miss her and all her great designs. I went into that store so many times in the 1980’s with my mother, and we enjoyed every minute in there. It was…Laura Ashley this and Laura Ashley that…..I could not get enough of her things. I love her wallpapers. I hope I can find the one called Clarissa, I want to do my bedroom in this. It is so warm and makes you feel cozy! Laura Ashley is one of the best designers of the 1980’s and before that. I will never forget her! I am also a big fan of Laura Ashley and her style. I visited a Laura Ashley store in Boston in 1989. I assume it was the one you mentioned? I loved Laura Ashley and her clothes, fabrics etc from the first time I saw them. In the early 90’s there was a Laura Ashley shop in Williamsburg and I was thrilled to purchase my first Laura Ashley dress. It was green corduroy with flowers. I still have it. I have one of her catalogs with white dresses in it – don’t remember if they’re wedding dresses or not but they’re beautiful. I was so sad to hear that she was gone. Thank you, Susan, for all that you do and that, you yourself, are an inspiration to so many of us! I, too, visited the Laura Ashley stores in the early 90’s (one in Woodland Hills, Ca. and another in Santa Barbara, Ca.) and bought a lovely pale pink linen dress that I wanted for a wedding I was in–still have it. Your story helped explain why the stores went away and is a sad reminder that life’s too short to worry about the small things. I have a quilt 90% finished but ran out of the backing material which was Laura Ashley’s sweet pea fabric. It has been stored away in a box for over a year and I sure would like to finish it if I could only find someone who had a piece of it that I could buy. I need about a yard of the material. I sent an email to the Laura Ashley company in the US but have never received a reply. Any help anyone can give me would be greatly appreciated. Joyce, I have seen two different places on Ebay that has the fabric you need to finish your cherished quilt. Just GOOGLE EBAY and put in Laura Ashley and the name of the fabric. I loved and followed Laura Ashley for years.. my favorite cologne was “Emma” and I have many Laura Ashley quilts, pillows and items. I remember when our mall opened the first in our area a Laura Ashley store.. Loved the clothes and bought some. I was and still am a huge fan of Laura Ashley, We got our first store here in Salt Lake City sometime in the 1980’s. I would gather as many books of hers that I could and fantasize about what names I was going to name my next daughter. As you said before, she named some of her dresses and probably other things. I remember loving the name Miranda. I never had another daughter unfortunately. I did get to New York City and visited the L.A. store there. It was everything and more. Love this posting. It takes me back to those fun days of going into that store. BTW, I got more than one dress for my daughters for their proms there. I always loved Laura Ashley, such an inspiring lady. I moved from the Lake District to university in a Midlands city in the mid eighties and then to London and spent hours and hours browsing the Oxford Circus store. It’s still there but not quite the same as you say. Lovely blog, thank you. You were lucky to have the real thing in your own country . . . although the store on Newbury Street in Boston was very wonderful. It must have been quite a shock there when she had her accident. I remember myself being shocked, but it wasn’t a country-wide thing like it must have been in England. She really understood WOMEN! She had it all! I think we are living parallel lives! I yearn for the styles of the eighties (and my figure). I’m sure I sound like the typical middle-aged woman when I say how horrible these styles are now! And nylon and rayon and yuck, what happened to cottons? We pay more for fake plastic clothing then we ever would for the real stuff. Polyester was simply not done for those of us who were young and hip! Has all gone with the percale sheets? I look for cotton everywhere! The designers are missing the boat. Plain cotton jeans, a thing of the past I guess. I loved going into the Laura Ashley store! It was a special world and I still have some homewares and a lovely cherry red wool sweater (outgrew all my other LA things). I loved the wallpapers and fabrics and her decorating books. Some of her dresses made the BEST maternity wear. Your love of Laura Ashley does not surprise me in the least as I always love everything you love and I love everything you create. Hooray for Laura Ashley and Susan Branch! Two of my favorite people ever! I loved visiting our local Laura Ashley stores at the Westfarms Mall in West Hartford, CT. This mall had 2 Laura Ashley stores-one for adult clothes and household items and a separate store named Laura Ashley Mother and Child. I still have many Laura Ashley items from beautiful cotton dresses to curtains, umbrellas and lamps. The patterns were lovely. Shopping there was always a pleasure. I purchased all our nursery linens at Laura Ashely Mother and Child–crib bedding, towels and children’s clothes. I still have some of her decorating books and catalogs. I have also visited the Boston store on Newbury St. as well as Laura Ashley stores in London and Exeter, England. (actually a friend of ours worked at the Exeter, England store) I miss Laura Ashley. Yes, you are not alone! I am a follower of your wonderful blog but for some reason had completely missed this nostalgic tribute to Laura Ashley, how was THAT possible?! You captured my feelings exactly not to mention my dress; I had that striped sundress also and loved the way I looked (and felt!) in it, it was for me the essence of a carefree summer. My husband brought me my first Laura dress when he traveled to London in the 80s and I was a fan of her clothing from that point forward. There was a store in Pittsburgh and I could never get out of it without a new dress. I remember each one, they were so unique and so beautifully made, what a genius she was! I agree with what has been posted about the lack of clothing made out of lovely cotton and linen (I mean, really, what IS polyester?? Most of it is not compatible with the human body!) I’m glad to know so many others are on the constant search for clothes that make us fee good! Thank you for your unfailing good humor and sense of humor,and the joyfulness of your blog. You had the same dress! That’s wonderful Lee. I join you in the search for cotton! I shopped at both the Laura Ashley stores in Williamsburg, VA and here in Atlanta. Still have all the dresses I bought. Wore them with my Sam & Libbey ballet flats with the bow on top! Such classy clothes designed by à classy lady. Miss her wonderful styles!! I am still using Laura Ashley’s dinner ware set I purchased many many yrs. ago. I also still use a set of her sheets. How nice to remember and still use. When I got my Masters degree in business in 1994, my mother gave me a congrats gift certificate for the Laura Ashley store. That was the best gift ever! I was thrilled to go to the Newbury Street, Boston, store and really enjoyed the visit. I got two large-sized bath towel, hand towel, and washcloth sets in vivid yellow, and pale pink. Each piece had hems of a white cotton cloth with a matching floral pattern. I also bought two short sleeved sweaters with wide sleeves and lace-patterned scoop necks, in the colors pale pink and pale green. Twenty-one years later, I’m wearing the pink one now with gray slacks pin-striped in pink. That’s what got me thinking about checking out the company’s status on Google. It’s so sad what happened to her and the business. I know, huge loss. We were lucky to know her the way we did. My daughter had that identical sundress in the candy pink/wht stripe when she was about 13-14!!! I have a picture of her wearing it – it was adorable! And she wore it on Martha’s Vineyard to the EYC Sail/Tennis awards banquet! 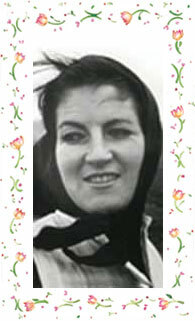 BTW, another woman named Susie Branch was director of the to-the-trade line of Laura Ashley back in the 1980’s. What a wonderful rememberance of Laura Ashley. I was so enamored with her style and store. When my husband and I married, we had Johnson Brothers ironware with those pretty blue flowers, and our living room set was also decorated with the same blue flowered design. My daughter wore an adorable linen dress with a Battenberg lace collar when she was a flower girl in a relative’s wedding from her store. I was saddened to hear of her death. Too young as you said, and with her went that genteel sweet style that seemed to be everywhere for a time. It was a time that I miss. from her fabrics. Miss her and her stores. I also loved everything about Laura Ashley. Her clothes were so beautiful. I use to love going to her store. I miss the perfume Emma!! I use to wear it all the time. Every once in awhile I will go online and try to find it. I bought the new Emma and it’s nothing like the old “Emma”. I don’t even like it! I was hoping it would of been be the same fragrance. Why on earth would the company discontinue the old Emma? Thank you. It’s such a lovely post! 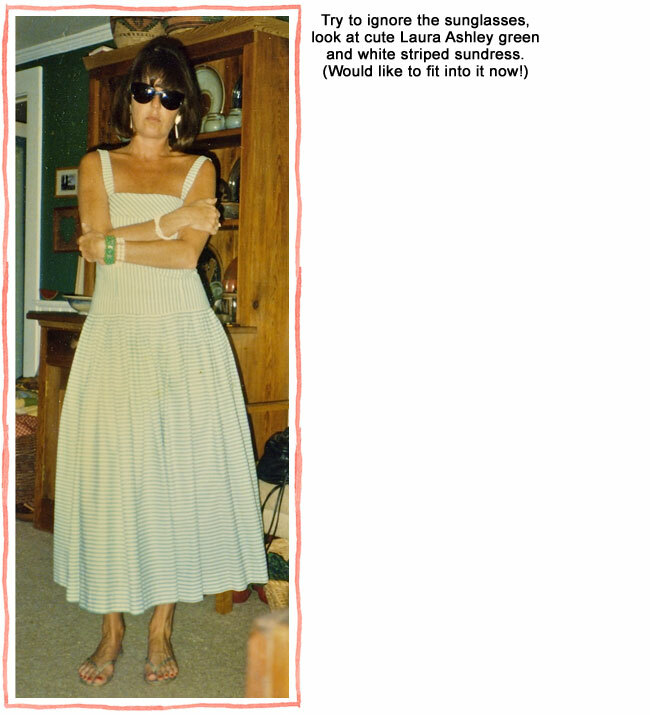 I wore Laura Ashley dresses in the 1980’s…Am looking for shifts in size 12…any sleevless dresses, loose and flowing. If there are any, please contact me. I would love to purchase one.. I love vintage clothing. Lynn, I do believe I have a couple of those dresses stashed away. I could not bear to part with them…for all the reasons you mention. You can email me after May 1, 2019 for more info. I am not where the dresses are for another month. We lived in Boston in the 1980’s. I have many fond memories of the store on Newbury St. My favorite style now are the loose and flowing sleeveless shifts in cotton lawn floral prints, which are prefect for summer. Unfortunately, I didn’t live close to a Laura Ashley store, but I would have been in seventh heaven. I have been looking for a particular design for more than 20 years. It would thrill me to see these vintage designs reproduced. The design is a white background with lilacs….my favorite flower (and color). My sheet set (full-size) is nearly worn out. Since I’m returning to a full-size bed bed, I can use them again. 🙂 However, I would still like to find sheets and/or fabric. Maybe someone here will be able to point you in the right direction Brenda. I remember that pattern and you’re right, it was beautiful! Silly me, I’ve read this on MY 60th birthday and live in a 2 story house! I will tread carefully. I always loved everything about Laura Ashley and when my sister-in-law worked at one of her stores she had me make her new daughter a crib set from Laura Ashley Fabric. That is the exact lesson I came away with. Beware of the stairs!! And Happy Birthday!! Very sad, it was her ideas and not really anyone else’s which carried thst magic of a bygone era and its beauty and charm. My very first long distance trip away from home (2 whole hours by car) was to visit Laura Ashley in San Francisco. My best friend, Sue, came with me. We were 17! Parking in an underground lot near Market St. (A somewhat familiar and safe area) we mapped a walking course to her tiny shop. Quickest route was 48 blocks in one direction, then 24 more to the left. We had no idea the shop was miles away and had simply forgotten that San Fran. is ALL hills, steep hills! We were exhausted when we arrived, but we never though about hailing a cab for the walk back! I still own everything I’ve ever purchased from Laura Ashley, lovingly packed away in the attic, including the “white apron” or pinafore I bought that day – more like a long strip of fabric – think table runner – with a hole in the middle for your head and small tabs on each side to secure it at your waist. I wore that often and made several more dresses to wear under it. Secretly hope for a return to romantic designs such as Laura Ashley. Love your story. So funny, at that age, we forgot we could just get a cab! I think Shabby Chic came right out of the inspiration of Laura Ashley. Not quite as good, I enjoy the cleaner lines of LA, but still soft and romantic. Thank you for reminding all of us of this softer, quieter way of clothing design. Thank you for introducing me to your blog and all your lovely readers. There’s a real sense of connection and kinship here, and it reminds me why I love fabric stores, and wallpaper, and duvet covers and sheets: These things surround us and warm us in the middle of a mad, mad world. I will return to read more. Happy to meet you Elspeth! Welcome! I dearly loved Laura Ashley’s fabrics and clothing designs. I, too, used to go to the store in Boston and before that the one in San Francisco. There was also a small store in Freeport, Maine, for awhile. I bought many things from the Laura Ashley catalogs and have saved those catalogs and most of the clothes I purchased. My favorite outfits were the mother and daughter ones, especially the navy sailor dresses with cute little straw hats. Just poking around a bit here and discovered this post that I somehow missed this past year. I was a junior in college in 1985 and got married the next year. I absolutely adored Laura Ashley… her dresses were all the rage among the sorority girls and though I was in a sorority, I could not afford her things. However, my mother was/is a wonderful seamstress, and we found patterns for her designs in either Simplicity or McCall’s (can’t recall which one.) We found some wonderful cotton cloth, and she made several dresses for me. I adorned them with Battenburg lace collars and brooches. I adored them and wore them to nearly all my wedding showers that year. I can remember feeling much like what you described when you walked out of her store in your dress and hat. Such classics… I miss those days of feeling so romantically feminine in what I wore. I wondered why her stores seemed to just “drop off the face of the earth” …I had no idea of her accident and death. So sad. Thanks for sharing your memories and helping me to recall mine! Yes, a sad reminder that for good or for bad, nothing lasts forever even the most wonderful things, which should. You are so right, antique things did help to keep her things unique. It was such smart marketing. Hope you find the perfect home for your bottle. Thank you Susan( you feel like a friend!) for helping those of us who loved Laura Ashley , and still love her style, colors and design to reminisce a bit about her with kindred spirits. In 1983 my husband and I bought and moved into this wonderful and unique English cottage style two story home built in 1932. It is in Northern California north of Sacramento. My fairytale house dream come true. We were only the 3rd owners and did meet the grown children and grandchildren of the original owners who had it built. The home and yard and gardens still reflected the obvious influence of England. So when we started to restore and decorate the home, I had come across earlier a Laura Ashley catalog and immediately fell in love with the wallpapers,fabrics, etc. The first room to restore and decorate was a charming upstairs bedroom that has become to be known as the “white room”. Totally Laura Ahley! The curtains and bedding are “bridal lace” a lovely white with this beautiful white wide lace boarder. The wallpaper a white with tiny pink buds and green leaves- so delicate . I have matching sheets and one year my husband gave me a sweet tea set that matches the wallpaper. There was one of her stores in Sacramento that I absolutely loved to visit!! And when it closed I too was so saddened when I heard that she had died from such an untimely accident. I was able to get one more upstairs room done in her wallpaper and bedding for my daughter before I could no longer find the original quality items. The rooms are still lovely after all these years. But Laura has definitely left her spirit in my home and is still loved by my family. Beautiful story . . . we have a kind of memorial going for Laura Ashley. She was truly something! Lucky us! A kindred spirit? Oh, yes, indeed!! In 1983, when I married my honey, who is four calendar years, but five school years behind me, I wore a Laura Ashley wedding dress that I picked out at the Newbury Street store in Boston. We went to England for our honeymoon–my third trip in five years, and his first. I had discovered on my first visit in 1978 that England is where my soul belongs! Fortunately, my hubby loved it, too. Where did we go on holiday the following year? England, again, where I bought a Laura Ashley dress to wear to the church in Hampshire where we stood as godparents to my friends’ twins at their christening. In 1985 we moved to Maine from Massachusetts and bought a darling Cape Cod style house, where I wallpapered our bedroom with the exact same blue Laura Ashley wallpaper that you had in your little Cape on the Vineyard. 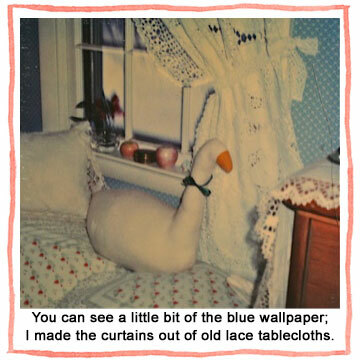 (Except for the goose, that could be a picture of OUR bedroom, with the six over six windows, white tie-back curtains, lace trimmed bureau scarf, etc.) Our bedding was Laura Ashley, too, and I made a quilt using many of the periwinkle blue fabrics shown piled up in one of your photos. Freeport, Maine had a wonderful Laura Ashley Outlet Store that others have mentioned, where I was able to get fabric and accessories like frames and lampshades at bargain prices. 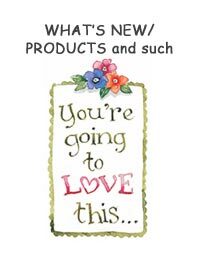 Just perused eBay to see what Laura Ashley treasures might be available there. One item that caught my eye was a beautiful white sailor dress with red trim. Made me think if the sailor outfit that you saw on QM2, but this was a dress. Just adorable. Was struck by a quote that the seller used in the listing, that presumably was from Laura herself: “I don’t like ephemeral things, I like things that last forever.” That’s one of the best things about her products–they were so well made that they do last forever. Her style and quality are sorely missed. I remember that dress! Yes, kindred spirits . . . I knew I wasn’t just writing my story! Ahh…. Laura Ashley…. it is like coming home. I fell in love with Laura Ashley as a young bride in the mid 80’s. I wanted to wear those fabrics and colors, put them on my walls, make pillows with them, line baskets, wrap gifts… and I did do all of these things! I somewhere have a photo of myself in London the first time I visited the Laura Ashley store there. I was so excited! I must laugh to myself as I remember feeling so cute/ beautiful/ special one day when I wore a purplish floral dress with sailor collar and satin bow tied in front to school (I am a teacher). A special needs student of mine reached up and ripped that ribbon right off the dress. My reply to this student who couldn’t possibly understand? “This is a Laura Ashley! !”, like that was going to change everything! I still have drawers lined with the leftover beautiful wallpaper scraps from past decorating days. They will always make me smile and feel like “home”. I LOVED Laura Ashley! Although I no longer wear those clothes I have saved many of them and those my daughter wore when she was small. I was eight months pregnant when I stood in line to purchase the first baby sleepers sold in America. The sales were only two times a year: July 5th and the day after Thanksgiving so attending them was a big part of my year. I still have the items I purchased that day. Our bedroom is decorated in the Bramble pattern and my husband does not mind. Her designs are timeless and graceful. So glad to know that she is still remembered and enjoyed! We’ve got a little unofficial Laura Ashley fan club going here, don’t we? She was really so much fun for us lucky ones that loved her style, charm, and wonderful quality. Hi Susan, Thank you for helping me remember my Laura Ashley days. I also have several of her books and love them. I had several bedrooms done in Laura Ashley and when I used to work for the airlines; I flew to London and on one trip I carried back Laura Ashley tiles for an island in my other house. It was so pretty. 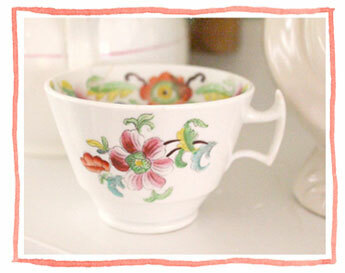 I also still have a couple Tea sets called “Tea For Two” that were white with pink flower. That was one of my favorite tea sets. Wonderful memories and I do remember when she fell down the stairs and passed away. That was so sad. I am glad to find your blog. Oh my goodness! 🙂 When I married in 1994, I wore an original Laura Ashley wedding dress. I had gone to the store in South Coast Plaza (Costa Mesa, CA) countless times for a few years to look at it (I had to keep making sure it was still there! ), pet it (it was made of pure cotton and so soft like an old fashioned night gown), and dream of the day I would wear it. The day finally came and to my good fortune, it had gone on clearance and it was still available in my size so I bought it at half price!!! I felt like Laura Ingalls in it! My maid of honor wore a forest green Laura Ashley dress. It was a fairytale wedding. Our entire bedroom was decked out in Laura Ashley print. Fabulous! style and flair, it was the best of times! Hi Susie: Thank you for this lovely reminder. I can still see the Laura Ashley store in our mall, where I bought sheets, wall paper and clothing. I had that same wall paper that you had but in peach…in the bathroom and got the reverse material to make a shower curtain. (not easy pounding those gromits (?) when you live on the 7th floor). I still have two sheets and my sister had a sheet and one pillow case that was my mother’s. She died in 1997 and they were well worn by then so she babies them along. PS When do you get back home? I absolutely adore Laura Ashley. I first started working in her store in Virginia as a part time associate. It was like a dream come true. I loved the fragrances, Laura Ashley No 1 and Emma. We used to spray the cologne in the store and we smelled of Laura Ashley all day. It was an experience just trying on clothes in their beautiful fitting rooms. The jumpsuits were just so adorable. The clothes were constructed beautifully. All opened and finished seams, and fully lined with the highest quality fabrics. They just don’t make clothes like that anymore. When you purchased something from Laura Ashley it would last forever. I finally became an Assistant Manager after the company was sold. Our store closed just before Thanksgiving. I was heartbroken. I had loved that shop for years and it was soon to be gone. It is sad that the fragrance line is gone as well. I was a seamstress and made clothing and eventually made window treatments. I loved using Laura Ashley fabrics. Keswick Hall was owned by Laura Ashley and the rooms were beautifully decorated with Laura Ashley Fabrics. Our staff used to go there for High Tea. Wonderful memories … and you are right, her clothes do last forever! Did you work at the Laura Ashley store in Richmond? I was hoping you may have photos of the Richmond stores, especially Shockoe Slip. I have just written to Laura Ashley to suggest they have a Renaissance range for all us ‘ladies of a certain age’ who recall the fabric designs of the 80s and would love to re-create some of the rooms we had at the time. Everything said in your blog echoes what I feel for the designs of that period. My bedroom was beautiful in ‘Kate’ (plum,sage and cream). I made the curtains and the bedding (including sheets that matched the range) looked like a dream and I want it back! Perhaps if there is enough support we may be able to get the company to resurrect some of the popular designs of the 80s and 90s especially for us. I am sure it would be a real winner for the company! Great idea! I agree, there is no such thing as the original Laura Ashley fabrics going out of “style” — they’re as classic as chocolate cake and ice cream! They come from a “gentler time” and we could certainly use a little of that about now. Hello, I’ve just found your blog from a Sally Clarkson link. I live in England and I was delighted a few weeks ago to find a vintage shop selling a few 1980’s Laura Ashley dresses. I picked one up and I’ve worn it the last three Sundays. We lived in Canada for a while, and I discovered April Cornell. She is based in New England, and I find her style to be quite similar. My favorite dress of all time was a black and periwinkle blue floral pinwhale corduroy Laura Ashley dress with a v neck lace collar I purchased it at the Laura Ashley store in Santa Barbara during a Fiesta in the late 1980’s. I still have it. My daughter’s bedroom was decorated in the Laura Ashley print “Violet” with lovely yellow, blue and periwinkle flowers vining on a white background. She returned the bedding to me when she married and had two boys and it now decorates my yellow office/guest bedroom. I think her designs were classic in the best sense of the word in both design and quality. Me too Kay . . . I wish the Laura Ashley company would try to find a head designer with that same sensibility! Wouldn’t that be wonderful? I became obsessed with Laura Ashley as a teen. I had a purple print dress with pin tucks and a tiny ruffle at the hem that I loved. They were expensive but quality made, the few pieces I had were all the more cherished for it (especially the blue and black changeable taffeta evening dress). When I finally visited the UK in my early 20s, the first shop I ran to was Laura Ashley. It inhabited a large corner and had huge windows with beautiful gleaming wood millwork. The windows were draped in black, and there was a large black wreath on the front door. Laura has passed away the night before at her daughter’s home they told me. A bittersweet visit for me indeed. When we reached Scotland, I was disappointed my hotel window did not overlook Princess St. I pulled back the curtains to what I thought was the alley (actually a narrow Scottish cobblestone street) to see it there below: another Laura Ashley shop! I flew down to the shop where they had yards and yards of handmade Welsh lace for 25p a yard! I bought all they had. Years later when I lived in a “cool artist’s loft” that I furnished with architectural salvage finds I came across a set of amazing cabinets with beautiful millwork. The owner told me he had rescued them from the closed Laura Ashley shop in Corte Madera CA. I don’t know how we got them into the loft, but they instantly elevated the place, more posh less grunge. I wish I still had the purple dress, and the cabinets. Somewhere I might be able to find the lace, and a blouse with leg of mutton sleeves that I know I didn’t get rid of (just can’t remember where they are). I don’t have any wearable pieces anymore, but once in a while I wear something that reminds me of Laura, like my blue and white toile dress. That’s me, in the toile dress, in line to meet you at Rakestraw in Danville CA. Lovely Laura Ashley memories. I still have a few pieces of hers, although I can’t actually fit into them, I still love them! And hope dies slowly! You just never know. Thanks for your memory of LA, which lets me know more about the brand. A brand loved and supported by people is a real good brand. Thank you. I know, it wasn’t even a “brand” in those days! Just beautiful and fine quality. Everyone can get behind that! pink print for the spaghetti strap long gown and a bolero jacket , two entirely different patterns with the style she wanted for both. We proceeded to make the gown and jacket and off to the prom she went looking just adorable. memories Susan….you have a knack of bringing up things we love ! Mary D.
Lovely. Laura Ashley inspired the world with her lovely designs. Personally, I once owned two vintage thrift store corduroy dresses with giant flowers. It was the 80’s and I was in my 20’s. It was not the trendy thing, so to my “Lovely” I would like to add….Timeless. Somehow you always connect in some way to my inner self, Susan ! Thanks so much for the notes on Laura Ashley. We once upon a time had one of her stores here in Cincinnati. My daughter & I used to go in & wander. I found a pair of pillow covers on sale there & still have them. Always loved seeing her catalogs. Would love to see sheets, quilts, etc again. Somehow reminds me of my Mother. I still remember the scent of the Laura Ashley perfume. It always reminded me of Christmas for some reason. I also remember when Laura Ashley bridesmaid dresses were the big thing ! I am 32. And I have about a dozen Laura Ashley and similar dresses in my closet. I wear them with great frequency and delight. Are they the old ones? Wondering if you found them online? If the people who currently run Laura Ashley had a clue, they would resurrect the beautiful fabrics, pillows, etc., that made her brand stand out from all others. They could make a gold mine, because those of us who haven’t forgotten them would spend our $$$ like mad to have them back, and those who never got to see such dreamy offerings would, I think, be as smitten with them as we were. Sadly, 99% of what they produce now is completely uninspiring. Many years ago, in my dreamiest of dreamlands, I sent a box filled with a whole bunch of my designs to them, across the sea to the UK, right after they started designing everything in burgundy and navy blue (so anti-Laura Ashley) hoping they would think, “Oh she is so perfect, let’s let her design for Laura Ashley!” It was a BIG box full of what I would call pure lusciousness. Pink and green and white. And of course, I never heard a word back from them. So, I could not agree with you more. That wonderful name! We know more about her than I think they ever could! I have really enjoyed reading this post and the comments. I live in Wales only 20 minutes away from the old Laura Ashley factory in Carno. There are an enormous number of middle aged ladies around here who worked for her in the 70s and 80s. Many worked from home. There are fabulous stories of large bin bags of remnants and offcuts being sold off at the end of factory shifts for next to nothing to workers. I have a real fondness for all things Laura Ashley. As a teenager in the 1980s – I had a Laura Ashley bedroom that I adored. As a consequence, I can never resist a Laura Ashley find in local charity shops and boot fairs. Luckily in Powys, where I live – there are finds aplenty! In actual fact – the photograph in your post of a stash of vintage Laura Ashley fabrics was taken by me nearly 10 years ago and found its way onto google and has appeared online here and there ever since! I can just imagine the memories and the beauty of those times! Fabric! Love it so much, especially Laura Ashley back in the day. I LOVE your photo ~ I think there was more than one, right? Beautiful. The best. I’m so glad you were there to take them. I just pulled out an old linen LA jacket. It has shoulder pads, but I hear they are coming back. I hope so, just for that jacket!! I had never heard how Laura Ashley’s life ended. Yikes! I loved her stores- the beautiful fabrics, clothes, and smells. I smiled at your last picture as I have the same dress upstairs in my closet except that it is in navy stripe- ha ha! Have not worn it in years, but I cannot part with it. Thanks for “Remembering Laura Ashley”. It was a fun read. Glad you enjoyed it! The real Laura Ashley was quite an inspiration! I just bought that adorable hat you have and have painted so many times! I love it…yes, it comes down to my eyes too, but I feel so lovely in it. Shall wear it to church next week. I found this treasure at a vintage church boutique. Also got a Laura Ashley platter by Johnson Brothers England in the Petit Fleur pattern. I really think you should have that adorable sundress altered and wear it as a jumper over one of those crisp cotton blouses you have AND the hat too…how sweet you would look! How about it Girlfriends…wouldn’t Sue be a trendsetter!? Love your style cause it is unique and so you! I was a teenager in the 1980’s and lived in Laura Ashley. My entire room was covered in her wallpaper and fabrics. I still have many of my dresses. My dear friend and I wore a Laura Ashley dress everyday in a row for two weeks when she died – in memory of her. The current owners of the business produce nothing close to the original items. I keep hoping one day, I will wake up and someone has bought the rights to reproduce the fabrics at least. The current owners would make a fortune if they would start reproducing again. Thank you for this blog. I am so happy to know I am not the only one that misses her. I don’t really think that the original Laura Ashley is the current LA decision-maker’s actual cup of tea! They do not know what they are missing. It’s such a no brainer. Do what she did and make us all happy! Total Laura Ashley aficionado, many of the rooms in my house are monuments to her stylings. I am sitting in my study that has custom made Ashley curtains and boarders. My Kitchen has the Vegetable Motif boarder and a number of ceramics to match. I sleep on Bramble Linens and still have the matching towels in my bathroom. The dining room is Rubens I believe and the Henrietta pattern in the powder room. So you can get where I am coming from when I say I loved her decorating style. The styles were timeless and beautiful quality, after twenty plus years everything is still going strong, and I fear their ever giving up the ghost. We often marvel at the workmanship of her custom curtains, they are works of art. I thank God we built our home when the Laura Ashley Home Shop was at its peak and miss it so much. The Philadelphia shops were my main source for merchandise along with the Reading outlet shop where I was able to kit out an entire bedroom in Portabello. I am trying to remember roughly how much Laura Ashley dresses used to cost in the 1990s. I remember them being fairly expensive but can’t recall a price range. Does anyone know? I don’t know, but maybe someone else will! From my travel journal in 1988, I see I spent 55 pounds sterling for a wool Laura Ashley dress at the LA shop on Regent Street in London. I also spent 60 pounds for a beautiful black wool cardigan with lace collar. The exchange rate at the time was about $1.80 to the pound, so the dress was about $99 and I remember thinking that it was still cheaper to buy it in London than in the States. I learned about Laura Ashley from my dear friend Susan. We are in Dallas, TX. and spent many afternoons visiting 2 Laura Ashley stores. I still have a couple of dresses. I also have a similar hat, made from wool with a wider brim. I looked quite fabulous in it, and cannot bear to part with it. I also have two tea sets. So unique and pretty. I was so sad when the stores closed, and whenever I spy a Laura Ashley label, I get a little flutter..
Oh my…that was a walk down memory lane. 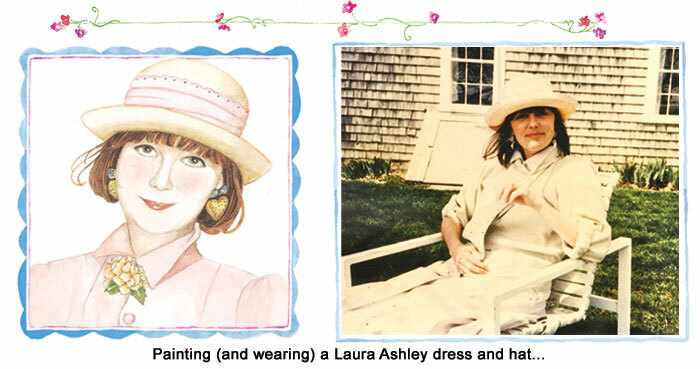 I had several Laura Ashley pieces…mostly bought on our travels, as there was no LA store anywhere I have ever lived. I came to Boston long after Newbury St. store closed. Because no one else I knew wore her things, I think my husband was a little leary whenI showed up wearing her shifts and petticoats. But I LOVED them! I had no idea about the end of her life, nor where the stores went. Thanks for telling the story and reminding me of gorgeous textiles! I’m so excited to have discovered this site and have enjoyed all the comments about Laura Ashley and her beautiful designs. In the 1980s I papered my daughter’s bedroom with a LA wallpaper and made curtains from a blue and white striped fabric. I used the white paper with small pink flowers in a bathroom and made a shower curtain in the matching fabric. And my laundry room and half bath were papered in the Scottish thistle pattern in blue. In 1989 I was searching for a dress for my then 12 year old daughter to wear to my brother’s wedding. Lovely,appropriate dresses for that age group were difficult to find and so it was wonderful to walk into a LA shop in Providence, RI and discover a beautiful cornflower blue dress with floral design that was perfect. Two years later Laura Ashley came to our rescue again when my daughter needed a dress for the eighth grade graduation dance. I have moved many times since and miss the Laura Ashley stores and wonderful fabrics and furnishings. Wowww, what a wonderful site!!! I was googling vintage Laura Ashely fabrics trying to find a design name for some curtains my sister gave me and found your article. Lucky me!!! It reminded me of the first time I ever walked into a Laura Ashley shop in Brighton, Sussex, UK. I was nineteen and fresh from Ireland to start nurse training at a nearby hospital. I remember the array of bolts of fabric, dresses designs from bygone days, patchwork quilts, puffed sleeve blouses and amazing wallpaper. I walked around the shop in a dream and I needed to buy something the reminded me of my first LA experience. It was just as you described, I can see and smell every bit of it in my mind. I have never stopped loving the Laura Ashley brand even though it has evolved many light years from it’s origins. Looking back to the old fabrics and designs, I remember how it used to make me feel walking into a LA inspired room. I yearn for the company to return to the inspiration of its roots. Though I have learned to embrace it’s more modern day elegance, nothing is quite like that first day stumbling into my first shop and waking up to the Laura Ashley world. 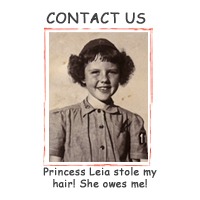 I happened upon your website and blog looking for the old Christmas Scrapbook. I am currently filling the second one and would like a third one. My interest perked up when I saw “Laura Ashley”. I too was sad to hear of her loss. I still have five of the outfits I bought and two of her mail catalogs. I love looking at the dresses and especially the wedding gowns. Love the Laura Ashley style. I’m a kindred spirit too. Susan I have several of your books. I especially love the early cookbooks! Just discovered your 2018 moon schedule on Pinterest, and dug further. I’m completely captivated by your work, and immediately ordered the Valentine mug for my husband. What a wonderful find, (you), on a winter’s day. Today while searching the internet for photos of our Laura Ashley stores in Richmond, Va., I discovered your website and enjoyed reading your blog story, Remembering Laura Ashley. I never knew of Laura Ashley’s tragic death and it’s very sad that her lovely stores no longer exist. We were fortunate enough to have two stores, one in Richmond’s historic cobble stoned Shockoe Slip and the other at a mall in the suburbs. Our stores were just as you described the Newbury Street store. I loved the home decor items and the traditional feminine clothing. I wanted my girl friend at the time to dress in that style. I did purchase gifts for her and my mother at Laura Ashley. Many years later I was pleased to see that she still had the hat I had given her from Laura Ashley. Today with everything U.K. being in vogue, Downton Abbey, Harry Potter, etc., I have to think that Laura Ashley stores would be immensely popular. Incidentally, my wife Wanda Branch-Baird purchases your calendars for her sister Susan Branch-Daniels. Ha! Well that is so nice to hear! And yes, we all miss the design sensibilities of the wonderful Laura Ashely! I came across your blog by accident but it has been wonderful to reminisce. I worked for Laura Ashley in the 70’s in Carno, Mid Wales. My first role as a summer school job was to top and tail the Laura Ashley garments. Then one day I was approached by Robert Landgrebe the then Marketing Director to start a new venture for the company ‘Laura Ashley By Post’ .I did indeed travel to the USA on frequent occasions also visiting some of the many shops. And in the later years went to Boston to the LA offices as I was involved in International production of the Catalogues. I worked for LA for 20 years and it was inspirational and I made some wonderful friends. In 2015 I organised a re-union and had over 200 people join in to what turned out to be a wonderful evening. Jane Ashley made a lovely speech and recalled how much her mother and father were so proud the staff and their involvement in making the company what it was and became over the years. Last year I met up with Emma Ashley as well. I am founder of the Heritage Hub 4 Mid Wales and there is also many other local town and village Heritage Hubs in Mid Wales which have been set up on Facebook please have a look, like and share. The long term aim to help and nurture local communities in Mid Wales to share their culture and heritage and develop community engagement to co-create archives and memories and to support local community groups. Oh Ann, how lucky and really historical for you to have experienced that time at Laura Ashely’s. She was a hero to many of us, and of course we loved what she did! Thank you for connecting. You have a fascinating story. We’ll be heading through Wales the second week of April, our first trip there and I really can’t wait! Just found you and your love of Laura Ashley. I have always loved the designs of old, unfortunately the modern Laura Ashley is not a patch on the vintage. I live in an 1830 stone cottage in Cornwall UK and would love to fill it with the delicate designs that they where so know for, but it is almost impossible to find the small print designs at an affordable price! On another note I have a Jack only he is Charlie and he found us one day 5 years ago. Hi Susan: What a nice surprise, to run across your Laura Ashley remembrances. My sister and I used to go into her stores and moon over everything, but especially the wallpaper and bolts of material. I wallpapered our entire bedroom in peach (the same one as yours in blue) and reversed the colors in the bathroom when we moved to Florida. Then when we moved into our house (30 years ago!) 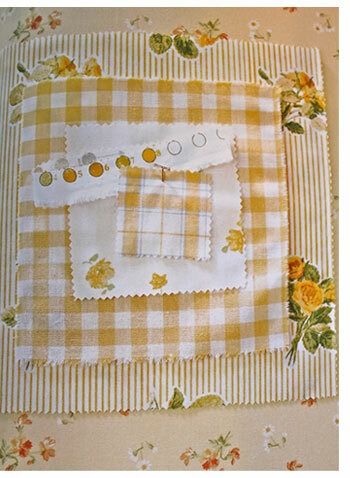 a chose yellow with pink posies for curtains (which are still hanging and have never lost their color in the Florida sun) and had puffy quilt and pillows made of that same material. It was my favorite room tho you couldn’t sleep under the quilt. You might drown in a pool of sweat! Hello Susan, Thank you so much for reminding me of my time working at Laura Ashley. I still have an address book in S49 Navy/sand. My son has his Ducky blanket made by LA when we were in Mahwah. 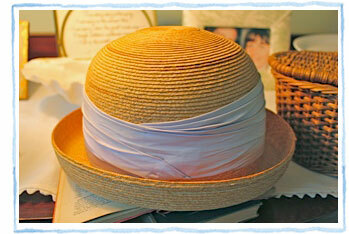 My sister in Florida still uses her P767 Rose/moss/white tea cozy. Thank you so much for bringing back some great memories. Working there was family. In 2011, I went to London for a special trip with my brother and his wife. We went into Zandra Rhodes Fashion Museum, because there was a Laura Ashley exhibit. It was wonderful to see the original photos shot of the models outdoors. I absolutely love all your post and have all your books. Thank you for posting such wonderful information and stories. Until next time enjoy your trip. I was reading your latest post and had to click on the link to read about another favorite of mine, Laura Ashley! My college bedding (a big splurge at the time!) was a Laura Ashley comforter and sheet set in rose and cream with a delicate pattern. I LOVED it and am forever grateful to my mother for indulging me! I think she knew, we were all splurging for her things. She was just right for us. Thanks Susan for bringing back the memories of what I was inspired with; from the early pairing of Twiggy in Mary Quant to Laura Ashley fabrics and wallpaper that ended up on some walls and tables in my home, And now I sit and wish that my always-go-to basic black could somehow be (even just temporarily replaced) with the whimsey of blue and white and…wait for it…my legs ensconsed in fancy black textured tights with an empire-waist, collared burgundy wool mini dress. Ah yes, it all comes back to me now! Yup, as I’ve said many times, we were adorable! I was a college student in the 1980’s and loved Laura Ashley clothing. I remember wearing a jumper dress with her white blouse underneath which had a big white Peter Pan collar with lace around the edges. After college, for my bridal shower, I chose a periwinkle blue dress with big white polka dots. It had a sailor-type collar with a white satin ribbon that tied in a bow. It was my favorite. Then, when I needed a dress for my bridal luncheon the day before my wedding, I ran down to the Plaza shopping area in Kansas City to visit her store once again and picked out a floral sundress that, I think, may have been a size 6. (Oh how I wish I could still fit into that!) I still have photos of myself in Laura Ashley dresses and realize she was with me at some of the most special times of my life. Me too! Thick white cotton blouses, with actual darts in them, beautiful collars and cuffs, and sometimes lace edged. Loved hearing about your dresses, yes, she was something special to so many of us. I loved Laura Ashley, I still remember a dress for a wedding I bought at one of her stores. This is sad, but she made everything prettier while she was alive and happy I got to shop in one of her stores and experience her wonderful talent. I, too, am a Laura Ashley fan, of the fabric and need some of the Country White to finish two quilts. I bought a pink kit in Edinburgh Scot in 1985 and sapphire blue hexagon pieces in Shrewsbury Shropshire same year. Also shopped the shop in Brighton. I’m slow getting around to finishing them, but need same fabric to be able to finish them. We never did get such a store in Salt Lake City, but it would have been an advantage if we had. I have her decorating books from the ’80’s and study them from time to time and wish hard that I could buy her things. Wasn’t she just the bomb? She knew just what we wanted!!! First – Susan, I have collected your books and cards for a number of years – especially love your animal illustrations. Secondly, I fell totally in love with Laura Ashley in the 80’s when a small LA shop opened up in Indianapolis, IN. Walking in I was totally captivated with the smell, then all the colors and bolts of wonder fabrics (I’m one of those touchy feely people). I was a young mother and blessed to stay at home, but no job, no extra cash. So I would squirrel away a few dollars when I could then go on my dream shop to buy a catalog, or 1/2 yard of fabric to sew into a pillow or just lay on a table as a runner. My happiest moments were when the season clearance sales came and hopefully could buy a cobweb scarf on clearance. I still have all 6 that I worked hard at saving for. I’ve just recently started wearing them this winter with my sweaters and coats. So glad to see you again!! Thanks so much for the remembrance on Laura Ashley. I have pillow cases purchased in a L.A. store in Ohio. I love them in the spring as they have tulips on them & when I use them it always gives me a lift. My daughter & I have your books & look forward to the new one coming out! Love your cups also but cannot afford right now. Later! My husband has always given me your calendars each year. He was so thoughtful about things like that. Happy Valentines Day & we look forward to all your ideas!!! I was married in a Laura Ashley mauve velvet dress. I wore pearls my fiance had bought me. I still have the dress and all of the other Ashley dresses. Laura brought back romance to fashion as well as to home furnishings. I was fortunate enough to have shopped regularly in one of her shops in St. Louis. Thank you so much for keeping her memory and legacy alive. I love your books and you, Susan, have your own wonderfully whimsical and lovely style. I just discovered this site and love it. Thank you so much for doing what you do and inspiring the creative process in others. So nice to meet you Susan . . . welcome to the neighborhood!